What is the Dota 2 Auto Chess Game? 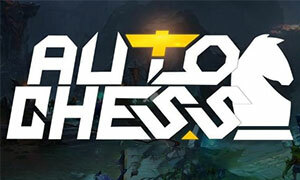 Dota 2 Auto Chess is a custom map and game mode created for Dota by the Chinese developer Drodo Games. Eight player fast-paced mini-tournament battles. Fight across an 8x8 field mimicking a chessboard using familiar Dota heroes as your game pieces. Less twitch-heavy gameplay, more strategy and nuance: Pieces fight automatically, but where you place them and who you place determines victory. Easy to learn, fast to play, difficult to master. What can you spend Candy on in Dota 2 Auto Chess? How to get Candy in Dota 2 Auto Chess? 1) In-Game Rewards: If you manage to achieve a high ranking in an individual match, there's the chance to receive a handful of Candies as part of your rewards. 2) Purchase: If you want to buy Dota 2 Auto Chess Candy directly, you can do it via Joymmo.com's online shop. Just click on the store sign in or register at the top right, then collect Cheap Dota2 Auto Chess Candy to your cart, and purchase it. Buy Dota 2 Auto Chess Candy for Microsoft Windows (PC), Linux, OS X paltforms.